Flags are waving, people are lined along small-town roads, sitting on the curb or on lawn chairs as fire engines, scouts, little league teams and decorated floats parade past, sometimes tossing peanuts and candy to the excited children in the crowd. 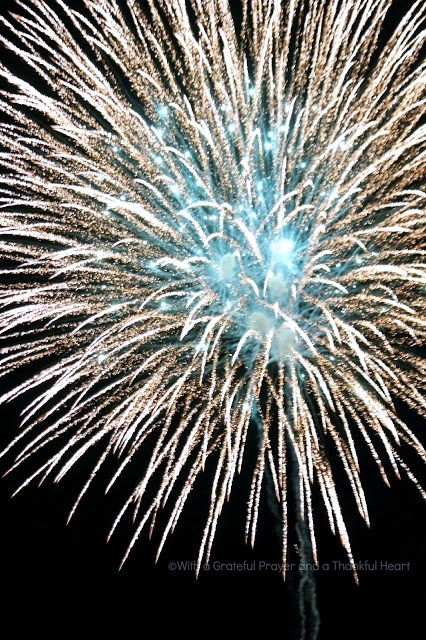 It is 4th of July and we, as a nation are celebrating. 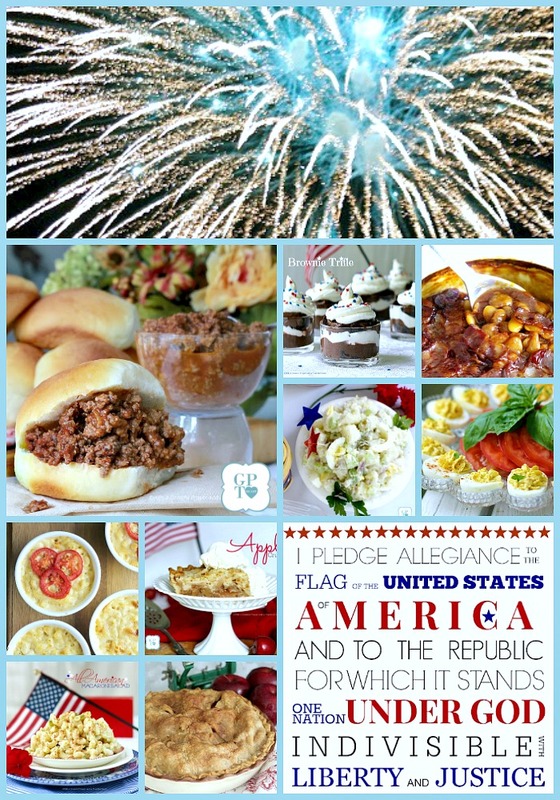 Food is a huge part of this patriotic holiday. 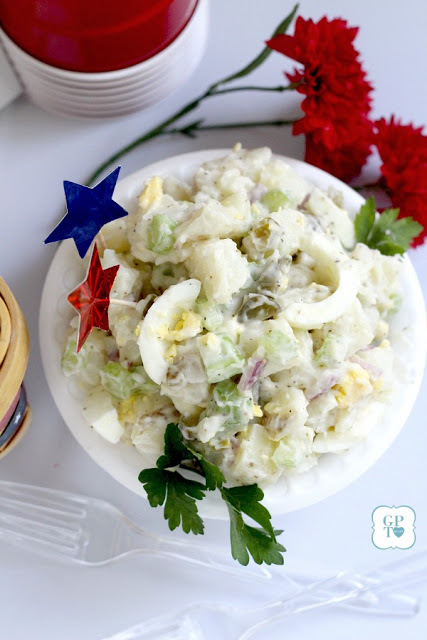 Here is a collection of favorite July 4th foods for picnic, cookout or barbecue that we all love as we gather to celebrate Independence Day. 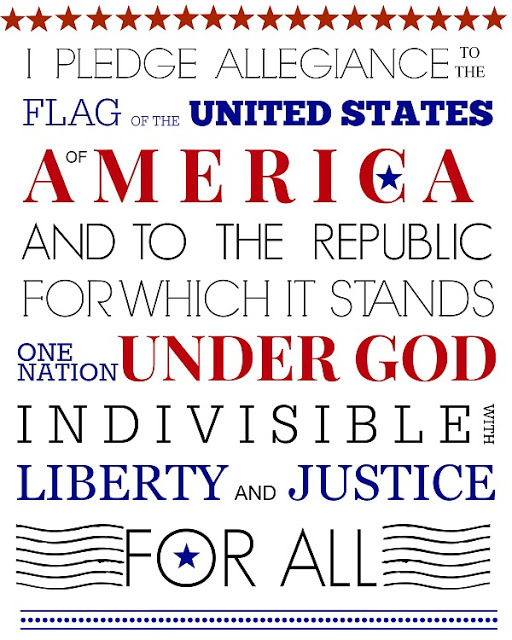 Print out this Pledge of Allegiance and place in a frame to add to your table and patriotic decorations. 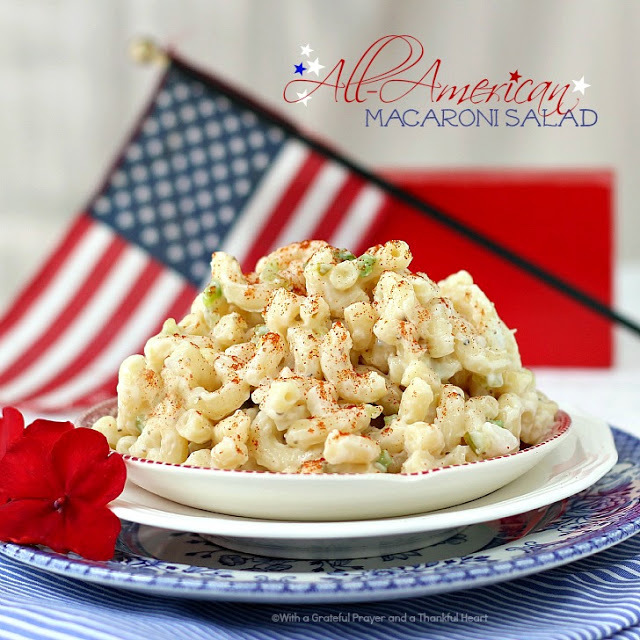 The child in me hums the melody and recalls some words from Yankee Doodle whilst scooping spoonfuls of macaroni salad onto my paper plate. Apple Crumb Pie was the very first recipe I made as a new bride. I got the recipe from my sister and had to call her several times while preparing as she lead me through the steps. I’m happy she taught me well as we have enjoyed this pie all * these * years! Instead of a top crust it has a crunchy, crumb topping. A perfect end as folks prepare to head to the fireworks. 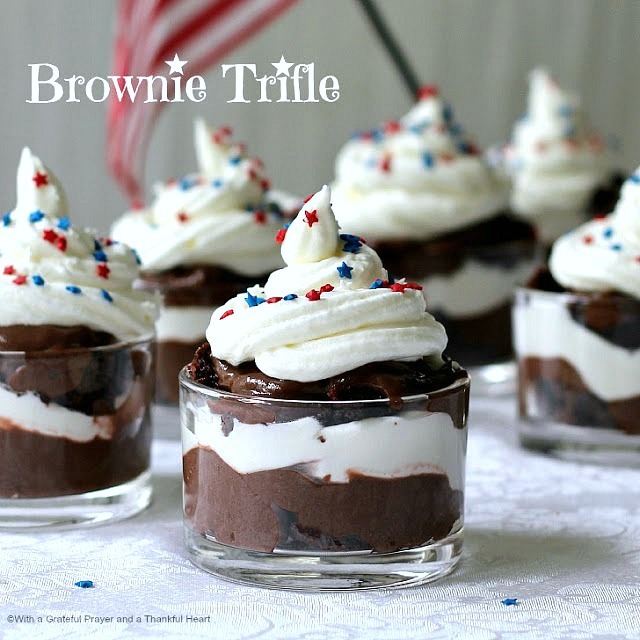 Brownie Trifle isn’t really a recipe. It came about from a baking fail. Use it if you want to rescue a cake or brownie mishap or just bake a box brownie mix, Layer with pudding and whipped cream for an intentional dessert that kids of all ages love. 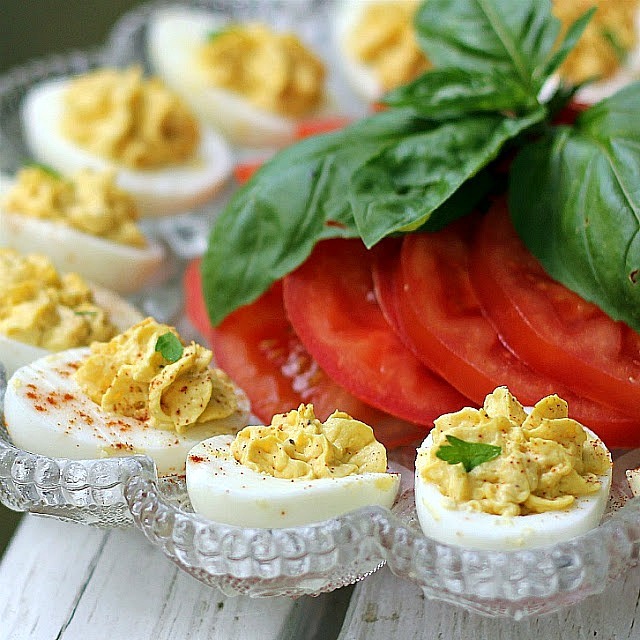 Can’t say much about Deviled eggs. It doesn’t matter how many I prepare, there are never any leftover. Easy on the budget holding a place of honor at picnics. Bring a pot of old-fashioned baked beans and wait for the high-fives. 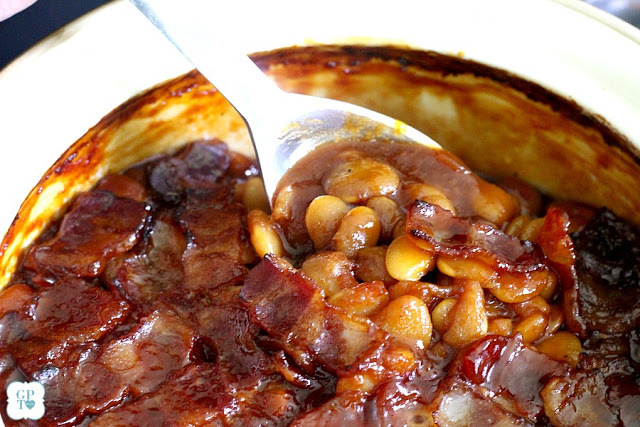 A sweet and tangy sauce covers the tender beans topped with bacon. Yes, we all know about the bacon love. Trust me. These are good! 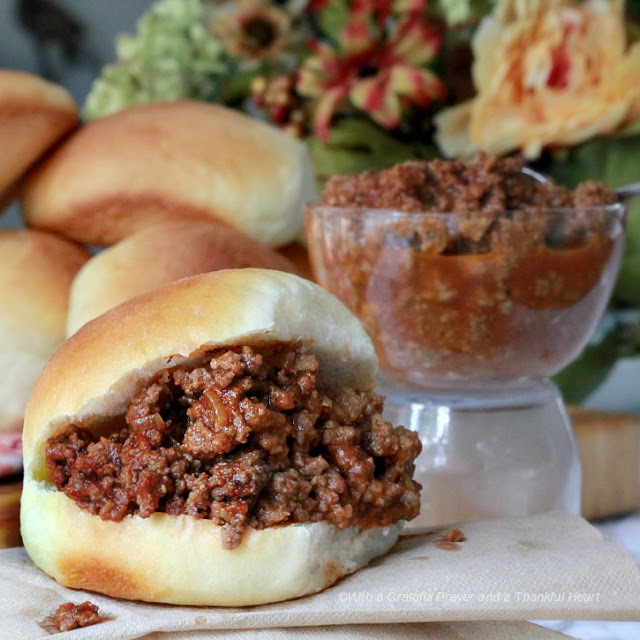 Prepare a big batch of Sloppy Joes, stick a ladle into the pot and let folks spoon the delicious meat mixture onto buns. Homemade are fabulous but make it simpler with purchased rolls. My preference are those crazy good potato buns or Hawaiian rolls. Yes, please! 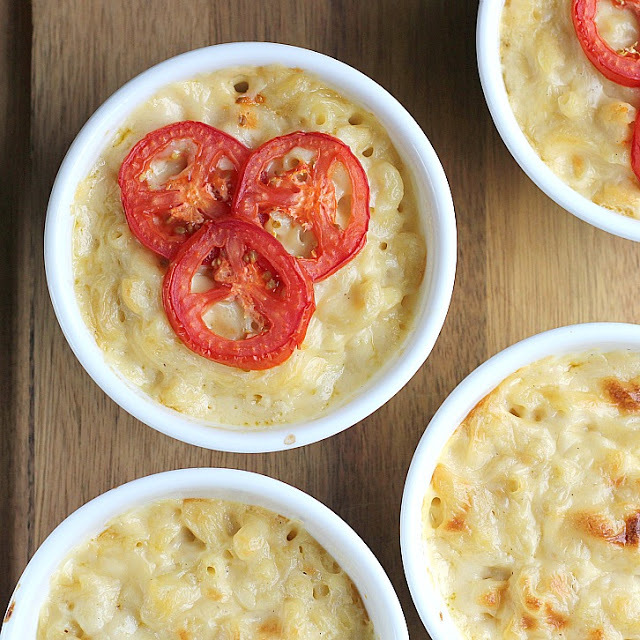 We have lots or grandkids and I haven’t met one yet that doesn’t love noodles and cheese. Soft enough for the little ones to chew and swallow and a dish that they will all eat even if they stick their nose up at some of the other offerings. Shown here in individual dishes, I usually bake this recipe in a large rectangle pan. A few of us love tomatoes on top but not all. As American as apple pie. Do you know the origin of this statement? 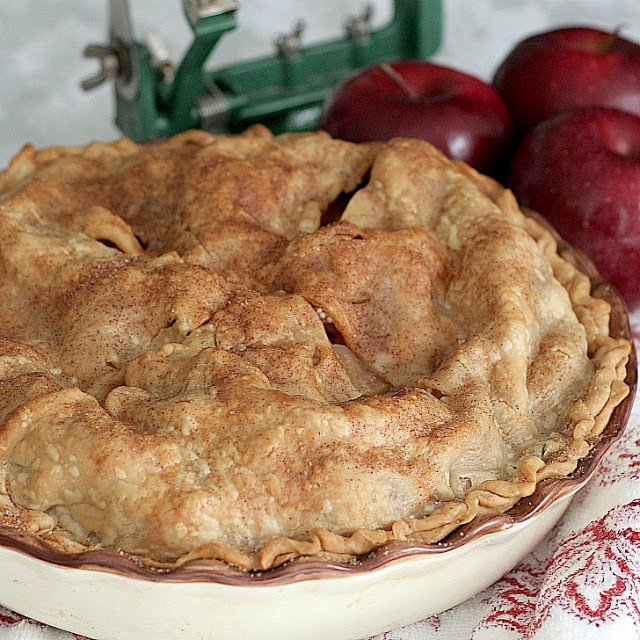 I do know apple pie, with its flaky crust and tender sweet apples is much enjoyed in this family. I bet yours too. After all of that great food, parade-watching, flag-flying, badminton competitions, horseshoe tournaments, baby bouncing, toddler giggles, cousin shenanigans, and family connections, it is off to the finale of our Independence Day celebration. Whether you watch from a high-school bleacher, town park, apartment balcony or large city extravaganza, fireworks are the perfect ending. Makes my mouth water just looking at your great pictures. Happy 4th to you and yours.